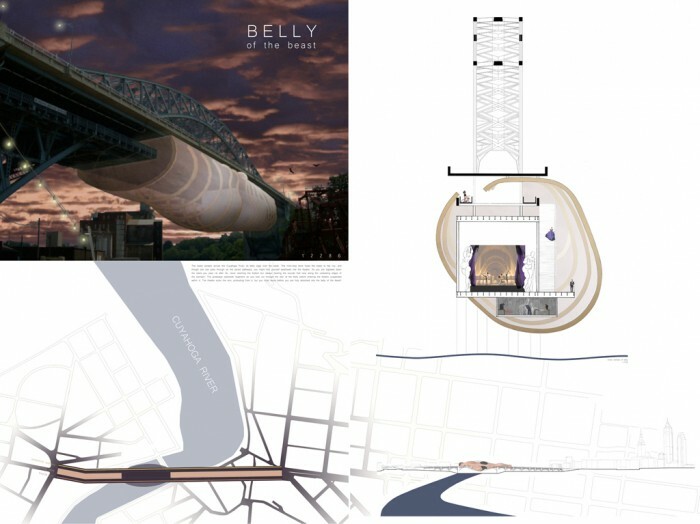 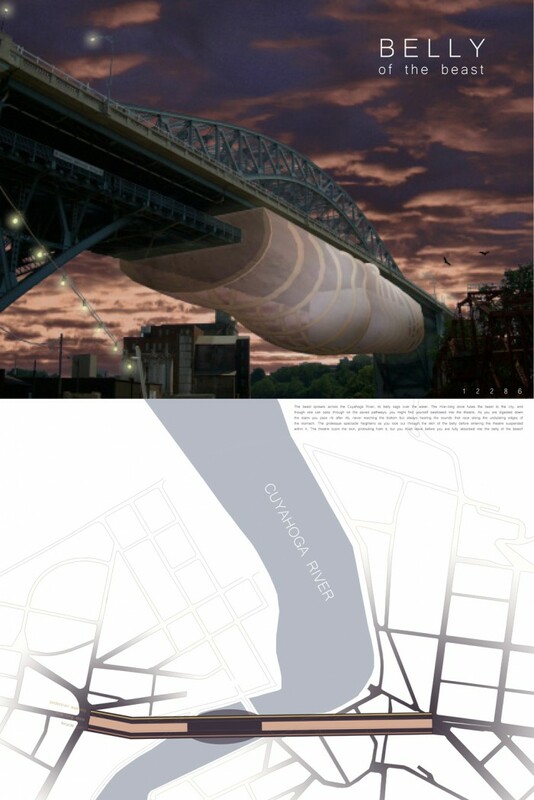 Overview: The beast sprawls across the Cuyahoga river; its belly sags over the water. look out through the skin of the belly before entering the theatre suspended within it. 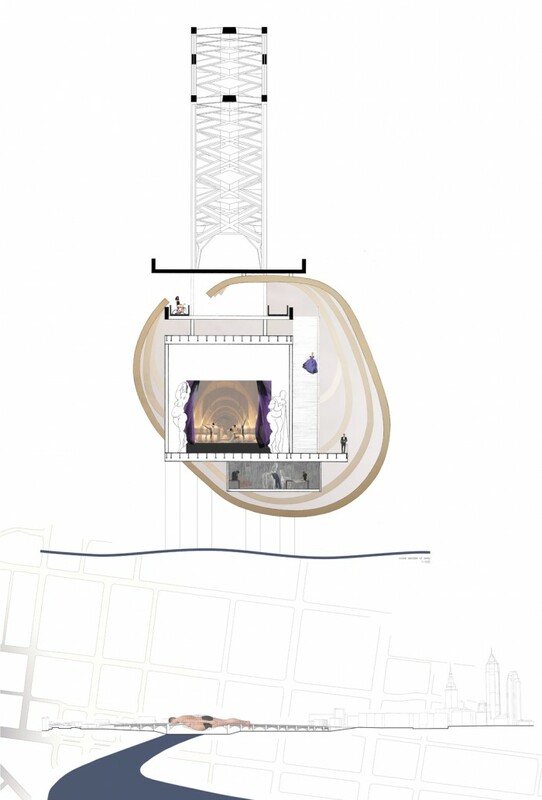 The theatre scars the skin, protruding from it, but you must leave before you are fully absorbed into the belly of the beast!